There's no flagship smartphone from Sony at this year's MWC, but the Japanese firm has arrived in Barcelona with two new devices; the Xperia Z4 Tablet and Xperia M4 Aqua. It's the tablet which is stealing the show on the Sony booth, with the 10.1-inch slate replacing the aging Xperia Z2 Tablet and joining forces with the smaller Xperia Z3 Tablet Compact. The Sony Xperia Z4 Tablet sports a 2K 10.1-inch display, Snapdragon 810 processor, 3GB of RAM, 32GB of internal storage, microSD slot, Android Lollipop and a 6000mAh battery. It'll certainly be giving the iPad Air 2 for its money then, oh, and did we mention it's IP67 dust and water resistant and just 6.1mm thick? That makes the Z4 Tablet as ridiculously thin as Apple's flagship tablet. Weighing in at just 396g for the heavier LTE model the Xperia Z4 Tablet has the Air 2 beat on the scales too. 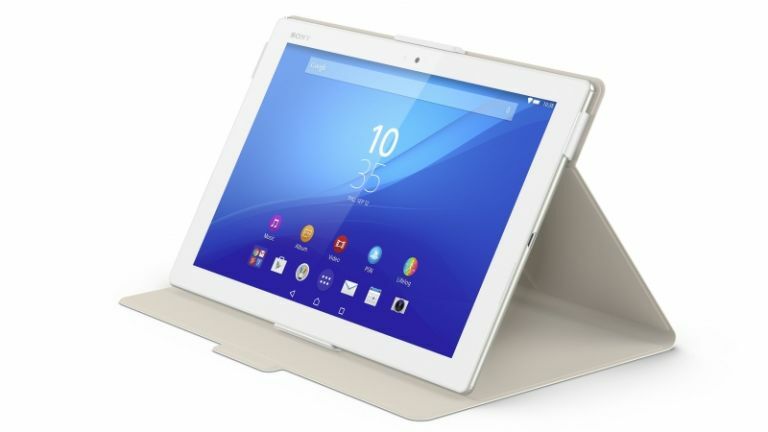 There's no word on a Xperia Z4 Tablet release date or price, but we're hoping it'll land around April and it's likely to cost quite a bit. If you're in the market for an affordable smartphone then Sony has you covered as well, with the launch of the Sony Xperia M4 Aqua. A 5-inch 720p display, 13MP rear camera, 5MP front snapper, Snapdragon 610 processor, Android Lollipop, 8GB of internal storage and a 2400mAh power pack are all wrapped in the M4 Aqua's main attraction - a dust and waterproof body. With a pair of impressive cameras, rugged abilities and a plastic body which could easily be mistaken for metal the Xperia M4 Aqua is an enticing handset. Considering the M4 Aqua sports a RRP of €299 (around £220) it's set up to be a pretty decent offering and while we don't have a release date yet we reckon it'll hit around April.